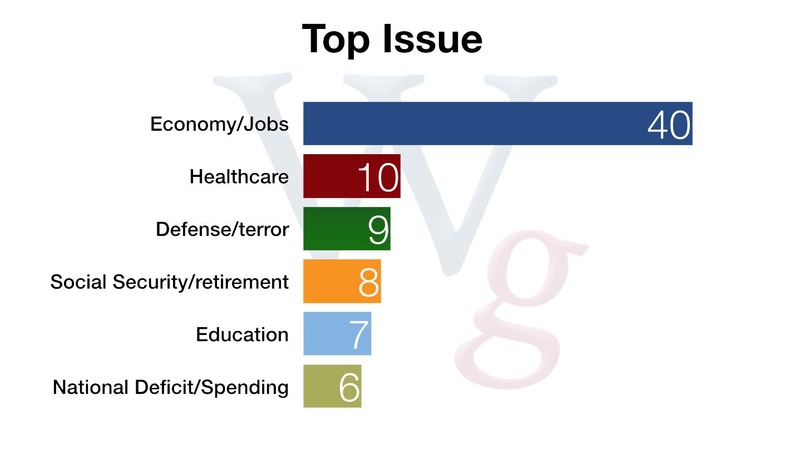 As the 2014 campaign unfolded, the economy remained the number one issue. Our post-election survey showed that the top issue overwhelmingly was the economy/jobs, with no other issue coming close. This was true across ideology, party, race, age, gender – virtually any subgroup of the electorate you could define. President Obama tried to argue that an economic recovery, spurred by his policies, was moving the country forward, but that argument failed to resonate with an electorate that was simply not feeling the recovery. In fact, in the exit poll, 78% of the country said they were worried about the direction the economy would take next year and only 28% said their family’s financial situation had improved over the last two years. Clearly, the country was looking for better solutions to fix the economy. Read our full 2014 post-election analysis.